The forthcoming visit of Narendra Modi to Russia may produce bilateral decisions to expand cooperation in the nuclear power industry. 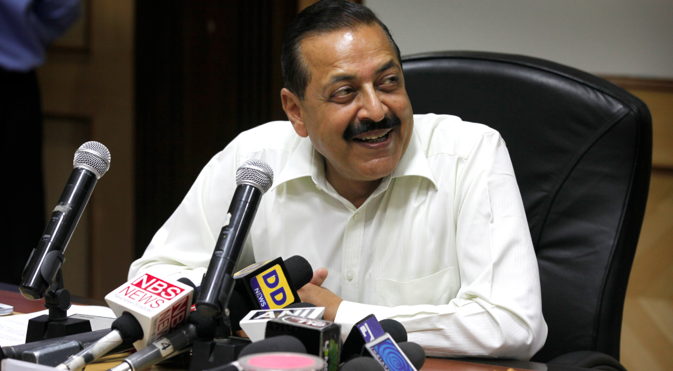 India wants to develop cooperation with Russia in the nuclear power industry and hopes that Indian Prime Minister Narendra Modi will sign appropriate agreements during his visit to Moscow on December 24 and 25, Jitendra Singh, the Minister of State in the Office of the Indian Prime Minister, said in his speech to the lower house of Indian parliament on Wednesday. "We expect the forthcoming visit of Prime Minister Narendra Modi to Russia to produce bilateral decisions to expand cooperation in the nuclear power industry," Singh said. He added that Modi had paid a number of visits to various countries this year where he signed agreements for the purchase of uranium to support India’s programme of developing its nuclear power industry. "I would like to note that increased uranium stocks and the buildup of our nuclear programme have become one of the major achievements of the foreign trips, which the prime minister have made in recent months," Singh said. According to Singh, a contract with Canada for the delivery of 5,000 metric tonnes of uranium and the long-awaited deal on nuclear cooperation with Australia were among Modi’s greatest achievements. Russian Vice-Premier Dmitry Rogozin who paid a one-day visit to New Delhi on December 8 said that Russia and India were determined to continue cooperation in the peaceful use of atom. Russian-Indian cooperation in the peaceful use of atom is moving in the right direction, Rogozin said in a TASS interview after talks with Indian Prime Minister Narendra Modi and his National Security Adviser Ajit Doval. "The two sides discussed further development of the Kudankulam nuclear power plant as well as the construction of new Russia-designed NPPs at other sites in India. I would not like to forestall the results of the forthcoming bilateral summit due to take place in Moscow on December 24-25 but I can say that we are moving in the right direction," Rogozin emphasized. Russia is building the Kudankulam nuclear power plant in India under the 1988 inter-governmental agreement and the 1998 addition to it. The station’s first nuclear power unit is the most powerful and safest in India. It meets all modern safety standards. The unit was included in India’s national energy grid in 2013 and handed over to the annual period of guarantee maintenance ending in late 2015. Pre-starting works are under way at the second nuclear power unit. In December 2014, Moscow and New Delhi signed a document on strategic vision of serial construction of nuclear power units in India by using Russian technologies. The document outlines plans for the construction of more than 20 nuclear power units in India; cooperation in the construction of Russia-designed NPPs in third countries as well as joint uranium extraction; the production of nuclear fuel and nuclear waste disposal.